Outcome Sets allow institutions to identify varying degrees of performance quality in specific areas and at different levels of granularity. Additionally, schools and organizations may also set internal Outcome Sets to track student performance on specific learning outcomes of interest. Internal Outcome Sets should be created collaboratively and agreed upon by all parties. While several National Outcome Sets come pre-loaded in the system, we also allow for the addition of various other types of Outcomes such as National, State, and Local. 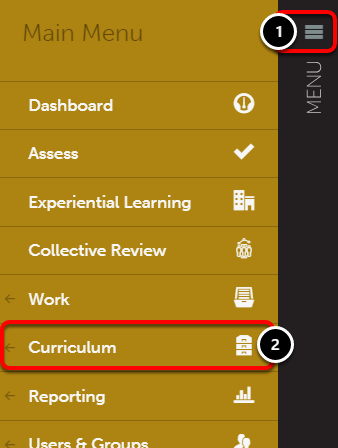 You are able to add new, edit existing, and/or link Outcomes Sets to Assessment Instruments to keep them well-managed. The Outcome Sets should reflect the competencies that the institution would like their students to have achieved. Although institutions may have other questions about the processes of learning that they will add to their assessment system, providing evidence of learning is the core goal. NOTE: There is sometimes confusion between the measurement of learning and the tracking of the coverage of required topics/content. The latter, while important, does not inform the organization about the degree to which their central mission as an institution of learning is being met. 4. 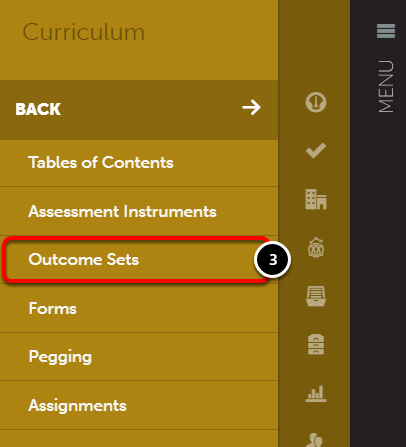 Click on the New Outcome Set button. 5. Enter a Name for the Outcome Set. 6. Select a Parent Group for the Outcome Set by clicking on the Choose Group button. 7. If you would like the Outcome Set to be hidden (entered in the site, but not available for linking) select the Hidden option. 8. (Optional) Enter a Description for the Outcome Set.